In country like Thailand with up to 90% people believe in Buddhism means you can easily find a Buddhist temple. 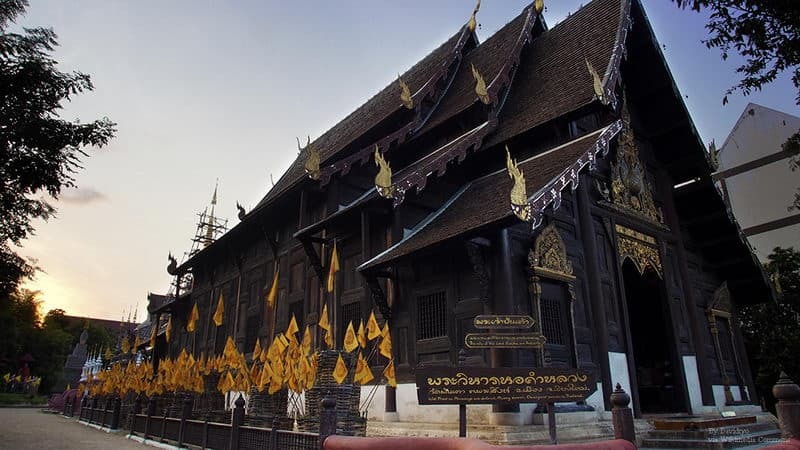 However, in Chiang Mai, a city with 500,000 people, has more than 300 temples. These temples are different in size and style. 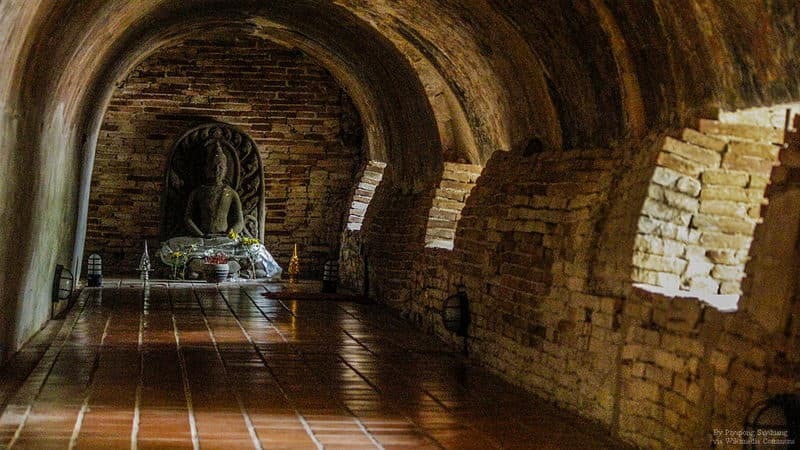 Here we provide the top 10 popular temples in Chiang Mai for you to better understand this profound culture. 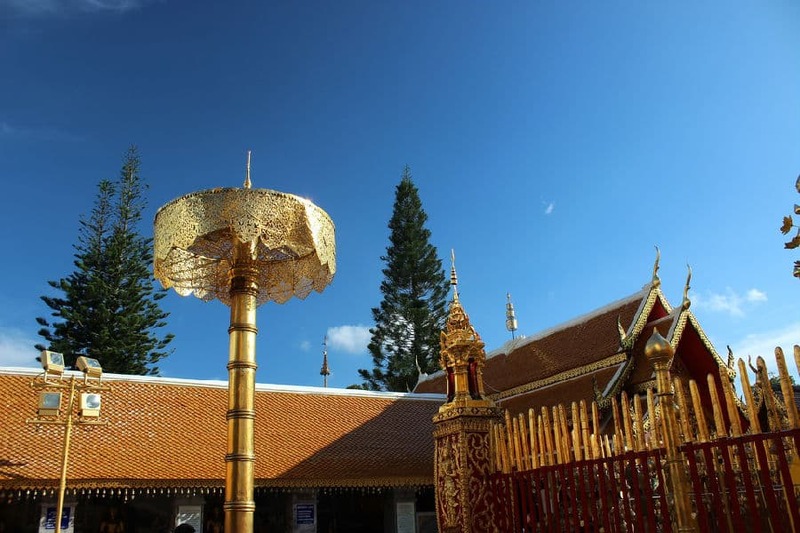 Wat Phrathat Doi Suthep is a mysterious temple that was built on the Doi Suthep. It is mysterious because the myths of its history and founding reason. Architectures in it are mostly golden. Impressive views of Chiang Mai can be seen from here. Here comes the photographers' favorate - Wat Suan Dok. Wat Suan Dok is a temple that famous for its bronze Buddha statue and white constructions. It has the biggest bronze Buddha statue in the entire Thailand. The large 48-meter-high bell shaped chedis—built in a Sri Lankan style—can be seen from far, and it is a memorial of a Buddha. Wat Umong is not famous among over 300 temples, but it is the only forest temple in Chiang Mai. It located against the Mountain of Doi Pui and the constructions are located throughout the forested area. Because of its quietness, it has become a good place for meditation. 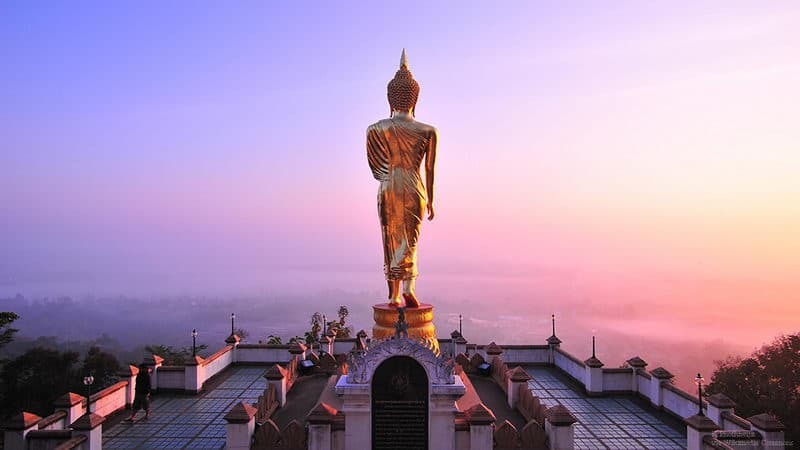 Wat Phra That Doi Kham, also known as the Golden Temple, is located at the top of a hill to the southwest of the city. This temple is known for its 17-meter-tall sitting Buddha. It can even be seen from the foot of the hill. 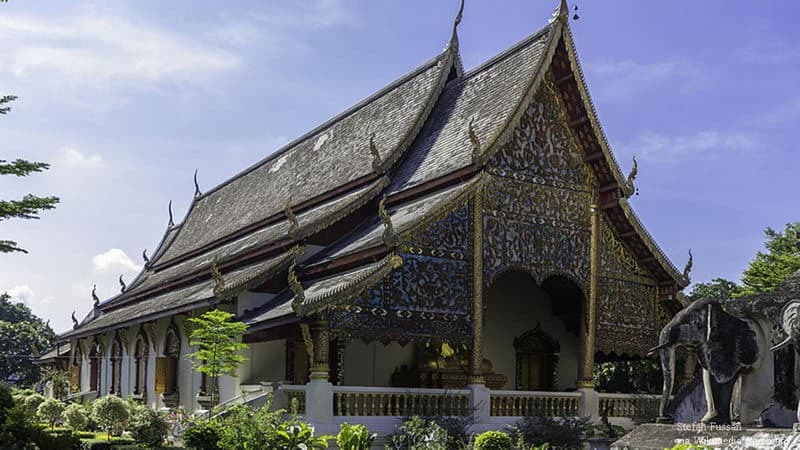 Wat Sri Suphan is covered completely in silver from the walls to the roof with some detailed carving from Buddhism legends. 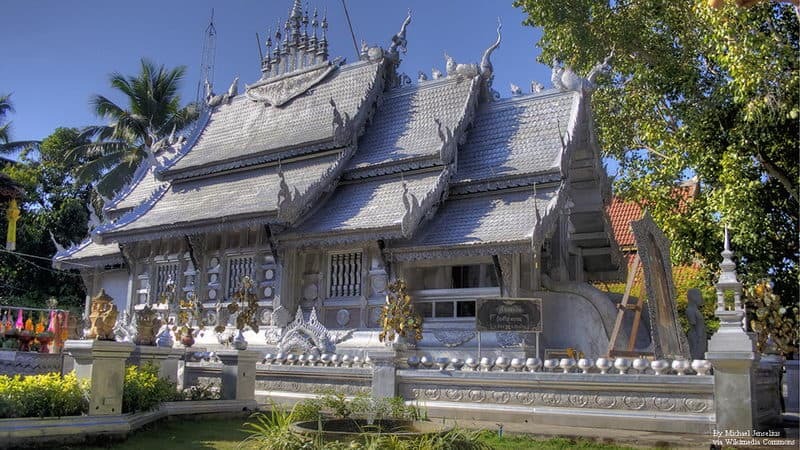 Because of its impressive handcrafted silver decorations, Wat Sri Suphan is also known as the Silver Temple. There are also some silver studios around the temple that visitors can see how craftsmen work and purchase some souvenirs. Wat Chiang Man is the oldest temple in Thailand. It was built in 1297 by Mangrai. 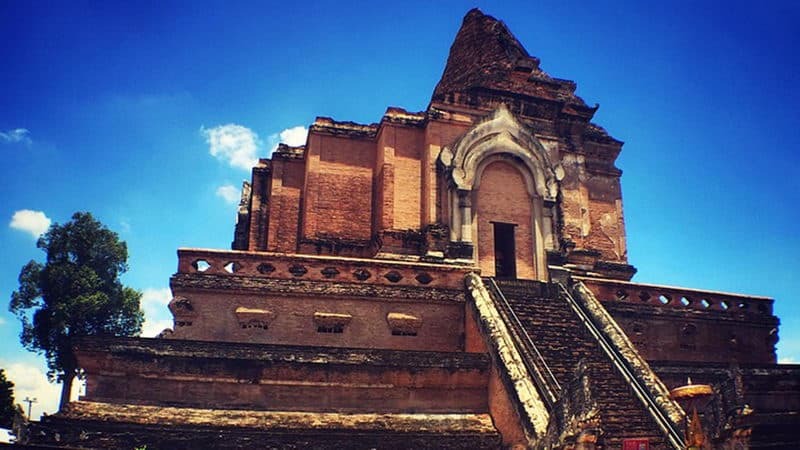 Chedi Chang Lom, also called the Elephant Chedi, is the oldest construction in the temple. The based is supported by 15 elephants, and the upper part is gilded. Unlike other Buddhist temple, this one is much more vicissitudinary. 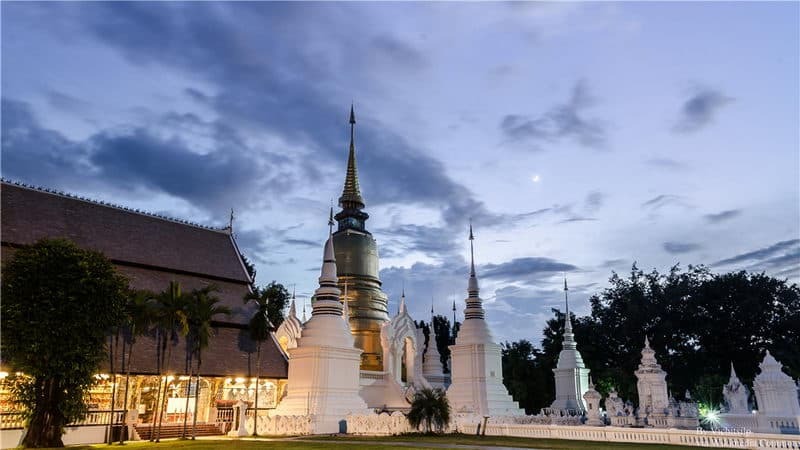 As one of the oldest temples in the city, Wat Lok Mileeis has one of the largest and the most impressive chedis in Chiang Mai. It is not visited as often as other temples and therefore sometimes visitors can be alone in the whole temple grounds. 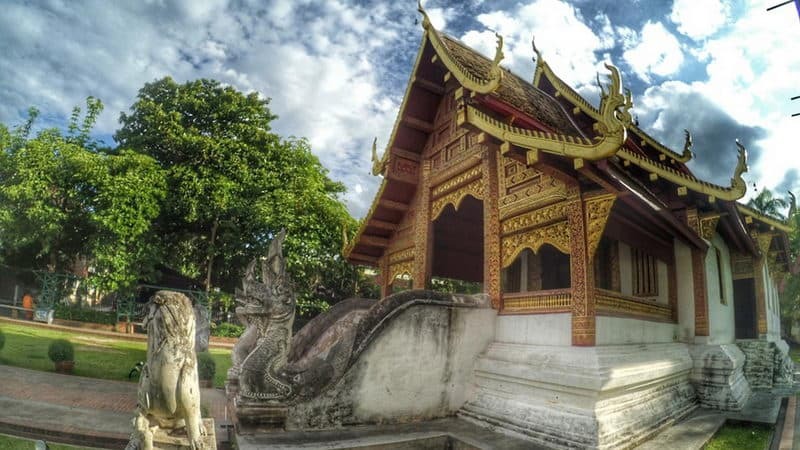 Different from other temples, Wat Phan Tao is a wooden temple with a beautiful garden. It has dark red walls, which make it extremely obvious. Walking into the temple, there is a golden Buddha and many exhibitions that are worth a look.